G.711 Appendix 1 (optional) coder is a high quality low-complexity algorithm for packet loss concealment (PLC). It is a highly effective algorithm for concealing lost packets of G.711 data. Speech remains intelligible even under conditions where up to 30% of the packets are lost. Robust packet loss concealment improves voice quality under packet loss conditions. ADT G.711 is available on the above Platforms: Other configurations are available upon request. All Memory usage is given in units of 16 bit word. G.711 is, by far, the most commonly supported voice companding algorithm used in telephony. 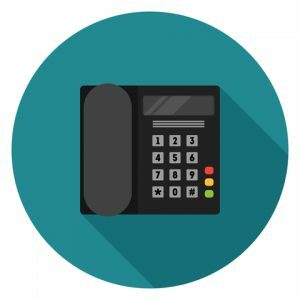 It has become the de facto standard used to ensure interoperability in voice over Internet protocol (VoIP) applications. Compression is performed on a per sample basis with each uniformly quantized sample producing an 8-bit pulse code modulated (PCM) or companded value. In addition to companding, appendices have been added to the G.711 standard that allow telephony equipment to reduce network traffic by transmitting minimal data during periods of silence and to improve playback quality by synthesizing speech during periods when data has been lost or corrupted. Adaptive Digital’s G.711 waveform coder is a bit exact implementation of the ITU G.711 PCM standard. Adaptive Digital’s G.711 coder converts between 8-bit mu-law (American standard) or a-law (European standard) companded values and 16-bit uniformly quantized values. Although many DSPs support G.711 conversion via hardware interface to TDM highways, it is often necessary to perform G.711 conversion in software, particularly when voice and signaling applications share a common line. Unlike the G.711 companding standard, the two G.711 appendices are not bit-exact. As a result, not all implementations perform identically.